Come summer we move from pour over to cold brew coffee. 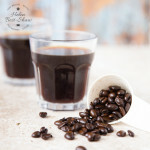 Brewing coffee slowly, overnight in the fridge using cold rather than hot water, is a great way to create a sweet and refreshing coffee drink that’s differently perfect for summer. Cold brew is a drink without the bitterness of hot brewed coffee’s bitterness, and with a delicate flavour which means you can drink it without milk, cream or sugar. 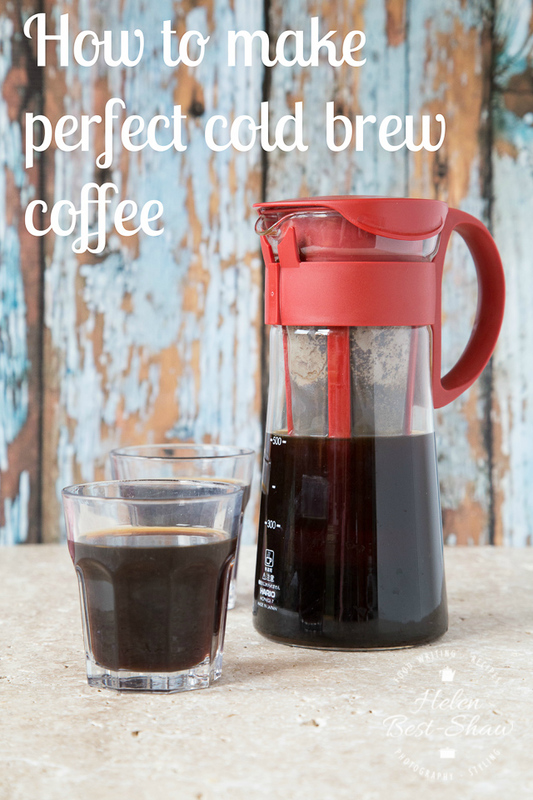 Even if you are using cold brew as an ingredient this a far superior way to make it, rather than letting hot coffee go cold. There are a number of pots and other gadgets to make cold brew – being coffee geeks we have one from Hario. However, you don’t really need any of them to start with, but can simply use a cafetiere; allow the coffee to brew overnight before plunging the filter in the mornings. Should you want to, you can further filter the coffee using a pour-over filter. At the suggestion of the Det Vide Hus café in Copenhagen, we’re now experimenting with starting our brew with a little hot (just off boiling point) water and letting the coffee bloom before adding the remaining cold water. If you try this How to make perfect cold brew coffee please tag #FussFreeFlavours on Instagram or Twitter. It is amazing for me when for me when you make one of my recipes and I really do love to see them. You can also share it on my Facebook page. Please pin this recipe to Pinterest too! Thanks for reading Fuss Free Flavours! Try cold brew coffee for a sweet, cool and refreshing change to your morning routine. Place the ground coffee into your coffee pot. Pour over the hot water and allow the coffee to bloom for a few seconds. Add the cold filtered water. Place in the fridge for at least 8 hours to brew. We recommend using filtered water- we use a BRITA filter kettle and cold water from a BRITA filter tap.